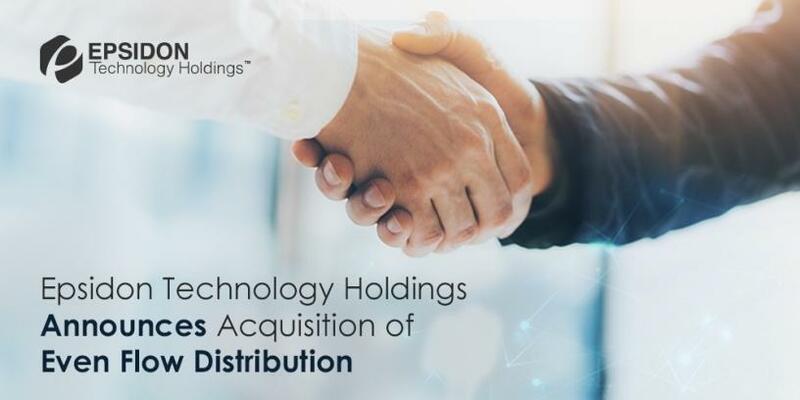 Epsidon Technology Holdings today announced its acquisition of Even Flow Distribution, a leading value-added distributor of next-generation IP convergence solutions. Even Flow joins the Epsidon Group, bringing on a number of leading brands in the unified communications space and having a well-established distribution channel of telecommunications solution providers, value-added resellers, ISPs and telcos in South Africa and other African countries. Even Flow will form an important part of the Epsidon Group's technology offering, joining First Distribution and Linux Warehouse in forming a truly comprehensive product portfolio to the ICT channel. About the acquisition, Tony Abrahall, Director of First Distribution, commented: "We are extremely pleased to welcome Even Flow Distribution into the group. The knowledge and experience they have to share will be invaluable in growing the unified communications arm of our business; while First Distribution's expertise and established partner base will allow for mutual growth within both businesses." Adrian Bush, Director of Even Flow Distribution, commented on the recent acquisition: "Even Flow is very excited about joining the Epsidon family, and the new opportunities being created for resellers, vendors and staff. Over the past 12 years, Even Flow Distribution has built up a comprehensive range of leading global brands in voice, video and wireless solutions; it is our goal to continue to offer these great solutions to our valued customers, as well as new channel clients throughout the African region." Founded in 2005, Even Flow Distribution is a leading value-added distributor (VAD) of next-generation IP convergence solutions. The company has been entrusted by leading global brands in the representation, distribution and support of products throughout Africa. With over 10 years' experience in the industry, Even Flow has a well-established distribution channel of telecommunication solution providers, value-added resellers, ISPs and telcos in South Africa and other African countries. For more information about Even Flow, visit: http://www.evenflow.co.za/. First Distribution was founded in 1984 and is today known as a value-added distributor of leading global brands, providing complex ICT solutions to the enterprise and SME markets, focused around the data centre, virtualisation, hosted applications and cloud-based services, database and middleware, security and network infrastructure, backed up by unparalleled expertise. As South Africa's leading distributor for data centre, enterprise and cloud solutions, First Distribution's model is based on delivering solutions through a well-established reseller base. This stable base has been built up through a history of consistent, trustworthy service and nurturing resellers as business partners. For more information on First Distribution, visit: http://firstdistribution.com/. Providing the best enterprise open source solutions for your clients, Linux Warehouse, a subsidiary of Epsidon Technology Holdings, is a 'pure', value-added distributor of choice in the enterprise open source market within sub-Saharan Africa. With more than 10 years of experience in the enterprise open source space, Linux Warehouse is committed to providing its partners with the highest levels of customer service. Linux Warehouse takes the time to understand its partners' business and, in turn, they enjoy increased services revenue. For more information on Linux Warehouse, visit: https://www.linuxwarehouse.co.za/.